First, give the Sage of Wasilla credit. 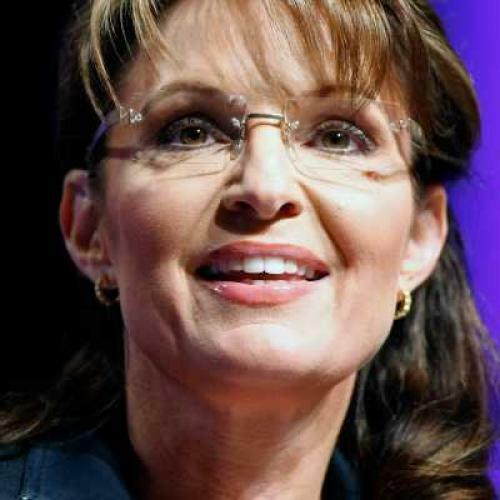 Right now, I don’t know whether or not Joe Miller will actually knock off Senator Lisa Murkowski in the Alaska primary, but even if he ultimately falls just short (and he’s leading now, so it’s at least just as likely that he’ll prevail), Sarah Palin’s reputation will surely be enhanced by her endorsement of an unknown insurgent against a sitting Senator. Did she carefully and correctly assess Miller’s chances of winning before she took to her usual combo of Facebook and Twitter, or was she just carrying on her personal feud with Murkowski’s family? Did her endorsement actually make any difference in the contest? I have no idea the answer to either question, but in terms of her national reputation, neither matters: all that anyone is going to know is that she endorsed a nobody who either took down a sitting Senator or came close. Maybe her endorsement mattered, but if not, figuring out which way the parade is headed and jumping out in front is an important political skill, and she at the very least seemed to have that working this time around. Second...no matter what the final result, but especially if Miller wins: these primaries are sending a very strong message to GOP pols about the dangers of ever allowing any space to develop between themselves and movement conservatives. And that’s true whether or not that’s a message that Alaska’s primary voters are intending to send (it may be, as I said last night, that the explanation for this election has more to do with the reputation of the Murkowski name in Alaska along with general voter discontent with the economy than it has to do with her actual actions in the Senate): the interpretation everyone’s going to hear and believe is that ideological deviation, even very mild deviation, is extremely dangerous to one’s electoral health. Whether it’s the New START treaty, or a compromise deal on the budget if the GOP controls at least one House of Congress next year, or any other issue, you can be sure that Republican pols who have to cast tough votes are going to remember Bob Bennett and Lisa Murkowski (and Arlen Specter, for that matter).